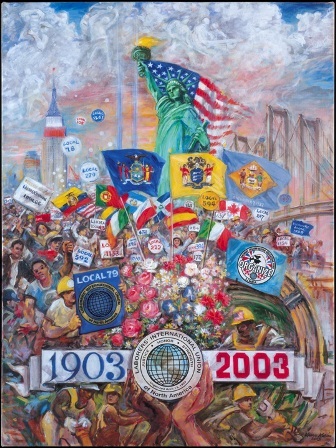 The Laborers' International Union of North America celebrates its 110th anniversary on April 13th, 2013. Twenty-five delegates from 23 local unions representing 17 cities--and 8,186 Laborers--convened in Washington, DC to found what was then called the International Hod Carriers and Building Laborers' Union. Today, more than 500,000 proud and dedicated members work under the banner of LIUNA. Happy birthday, LIUNA and all the best to its Union brothers and sisters who make it great!